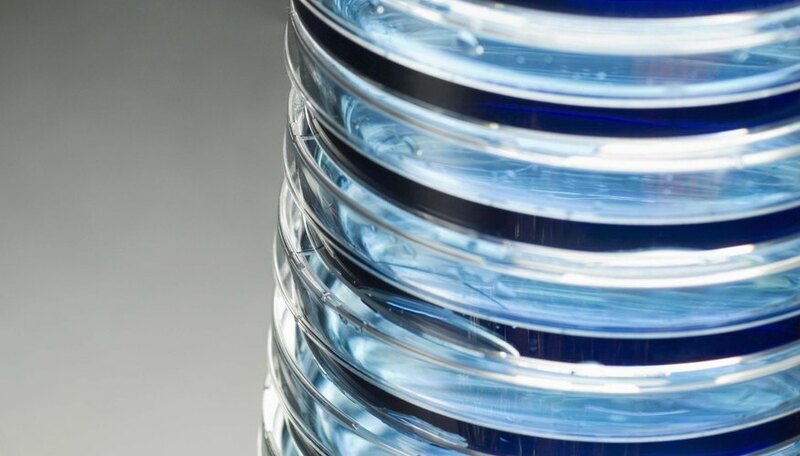 Agar is a natural gelling agent derived from marine algae. It is resistant to consumption by bacteria, making it ideal as a medium on which to grow bacteria cultures in petri dishes. It is available in several raw forms including tablets and liquid, but preparing agar powder for use in petri dishes is straightforward. Sterilize the petri dishes, beaker, measuring jug, thermometer and stir rod prior to use. You can do this by immersing in boiling water for a few minutes, then allowing to dry on a sterile workspace. You can also sterilize them by wiping with alcohol. Measure 500 ml of water into the beaker, followed by the agar powder. The amount of agar powder required per 500 ml can vary depending on the supplier, so check the packaging for instructions on how much powder to add -- 10 to 15 grams is the usual range. This will yield sufficient agar gel for 25 petri dishes. Place the beaker over a heat source such as a bunsen burner, and stir with the stirring rod as you bring it to a boil. Boil the mixture for 1 minute. Place the thermometer in the beaker, and allow the mixture to cool to between 45 and 50 degrees Celsius. Pour 1/4 inch of liquid into each sterile petri dish, making sure to replace the cover immediately. 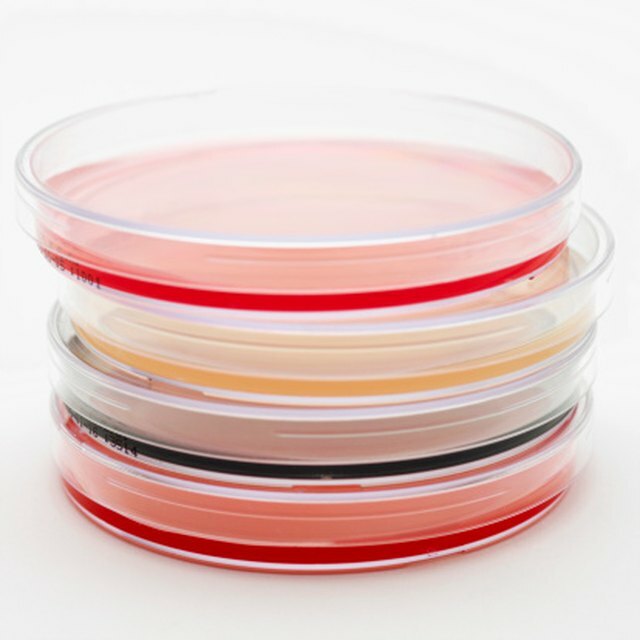 The agar will form a stiff gel at room temperature, and the petri dishes will be ready for use. Smith, Alasdair. "How to Make Agar Gel From Powder." Sciencing, https://sciencing.com/make-agar-gel-powder-10070363.html. 24 April 2017.